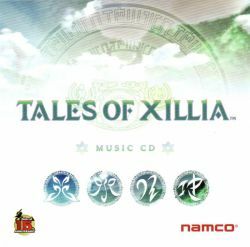 Comes with the US Collector's Edition (BLUS 41029) and Limited Edition (BLUS 31006LE) versions of the game "Tales of Xillia". The Collector's Edition comes with the CD in a standard-sized jewel case and the Limited Edition's CD comes in a cardboard sleeve. The artwork is the same for both.